One of the most popular posts on this blog is one that I wrote in 2016 on how to see the books you’ve read in Kindle Unlimited. Recently, Amazon has been making some changes to its Kindle Unlimited program that affect the way you find the books you’ve previously read in KU. 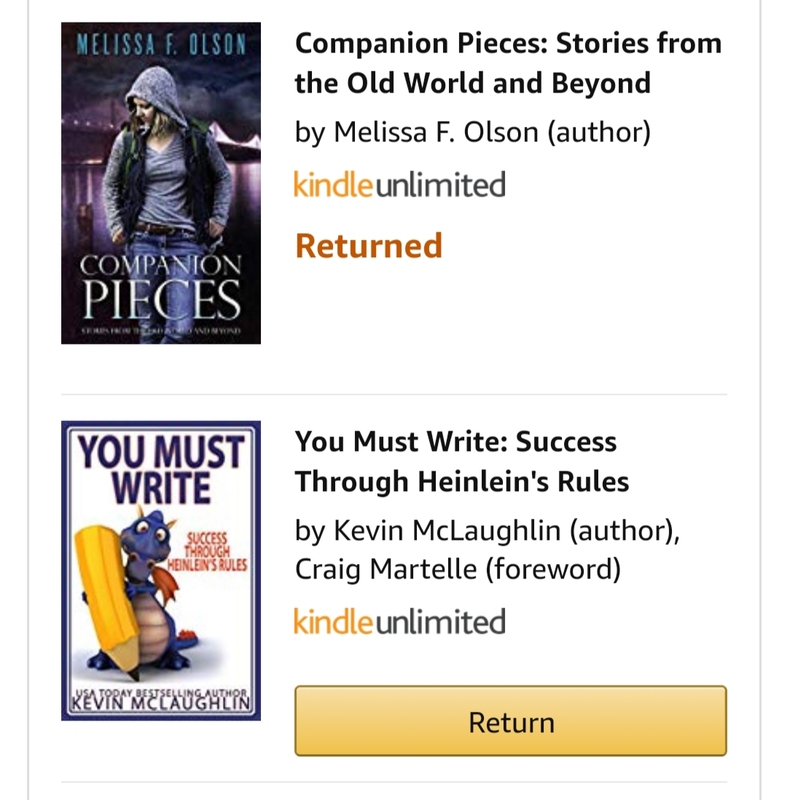 Before this change, you found the books you had previously read under the “Manage Your Content and Devices” link under Your Account tab.Now, that method only shows you the books you currently have borrowed from Kindle Unlimited. You can no longer see previously borrowed titles here. Now, you can only see the lists of books you have previously borrowed on your “Your Memberships & Subscriptions” page. UPDATE: The original method is working again. The method that follows is an alternative method for accessing the books you’ve read. Please note: Amazon uses dynamic pages for their website and frequently tests new designs, so all customers do not always see the same site. It will also vary depending on whether you are browsing the web on a desktop, laptop, tablet, ir phone or whether you use the Amazon Shopping app. Therefore, I am posting several different ways ways to find the Kindle Unlimited history lists. Click on Your Account, the choose “Your Memberships & Subscriptions” link under your account tab. If you do not see any subscriptions, click on the arrow in the section that say “Don’t see your subscription? Take me to my…”. Choose “Kindle Unlimited.” This works on the Amazon Mobile shopping App and the web browser on mobile and on a desktop. Directly: If you are logged in to your Amazon account, you can get there directly via https://www.amazon.com/kindle-dbs/ku/ku-central. Kindle Unlimited main page: From the drop down menu in the upper left corner, choose Kindle E-Readers and Books>Kindle Unlimited. This takes you to the main KU page. If you are not logged in or do not currently subscribe to Kindle Unlimited, you will see the page to sign up. On my Chrome browser window, there is also a gray bar at the bottom of the window with “Your Kindle Unlimited titles” on one side and “Manage Your Titles on the other. Click on the bar to go to the “Manage your Kindle Unlimited Membership” page. This page will take you directly to the borrowed items page. Under your borrowed items, you will see the number of total titles you currently have borrowed. Underneath are your options for showing Kindle Unlimited titles. Show all, current or returned books. Sort by Title (A-Z and Z-A), Author (A-Z and Z-A), and Borrow Date (Oldest -Newest and Newest-Oldest). 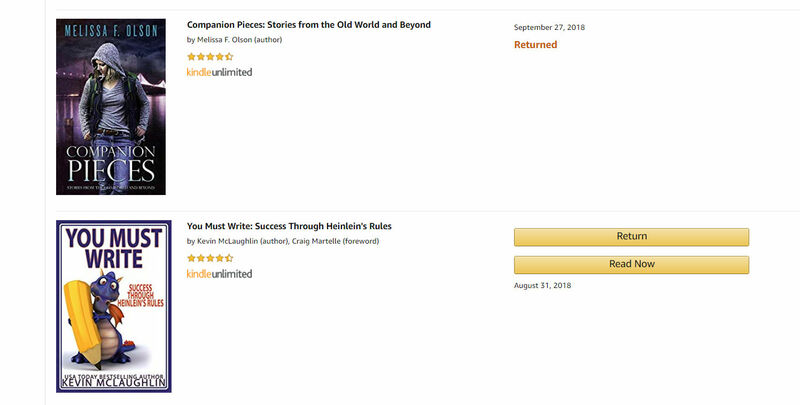 Note that, according to one of my readers, if you have cancelled Kindle Unlimited at any time and re-subscribed, you will NOT see the titles from your previous subscription period. Amazon is currently making a number of changes to Kindle Unlimited. Current changes include issues with gifting Kindle Unlimited and buying pre-paid subscriptions. I have seen pages related to the subscription service come and go, then return over the past few weeks. I suspect that these changes will continue and plan to discuss some of those changes in a followup post. The main help page for Kindle limited is here, however, the help page has not seemed to address the most recent KU problems. You may also be able to find additional information on the official Amazon forums. Kindle Unlimited features unlimited access to over a million titles, and includes audiobooks. Kindle Unlimited books can be read on any Kindle device, including apps, ereaders and tablets. From Amazon.com, it is available only in the United States. It is available internationally in select countries through the local, country-specific Amazon site. Those longer term Kindle Unlimited subscriptions seem to be back again, at least temporarily. There is now a special landing page where you can now choose between 6, 12 and 24-month pre-paid plans at savings of up to 40% off, depending on the length of your subscription. The offer says it is valid until 11:59 p.m. (PST), January 11, 2019. Over the last month, I have written about how access to purchasing pre-paid, multi-month subscriptions had disappeared. The ability to purchase the subscriptions as gift reappeared a few days ago, with the only option being a 12 month subscription deal. If the amount of mail I’ve received over this issue over the last month from people asking about this any indication, an awful lot of people want to pre-pay for their Kindle Unlimited and like to give subscriptions as gifts. One of the things I have noticed is that Amazon has made information on this very hard to find. At one point, the old pre-paid gifting page had a message stating that gifting is unavailable; at this time that page is still blank. The back and forth on access to these subscription makes me wonder if the ability to purchase pre-paid plans will remain available in the long term. The current page has promo landing as part of the page title, although it is unclear whether that is because of the sale pricing or if it is an indication that pre-paid subscriptions are only a temporary promotional item. It could be an early deal for Amazon Digital Day, but those deals are not supposed to start until December 28, 2018. At this point, I am not sure what to think…. In order to take advantage of this special pricing, you must have an existing and active Amazon Account. Amazon defines this as having spent at least $1 in transactions in the 6 months prior to redemption of the offer. 3 titles each month: 1 audiobook and 2 Audible Originals. The ability to roll over any unused credits for up to 4 months. Easy exchanges. Don’t like your audiobook? Swap it for free. Cancel anytime, your audiobooks are yours to keep forever. 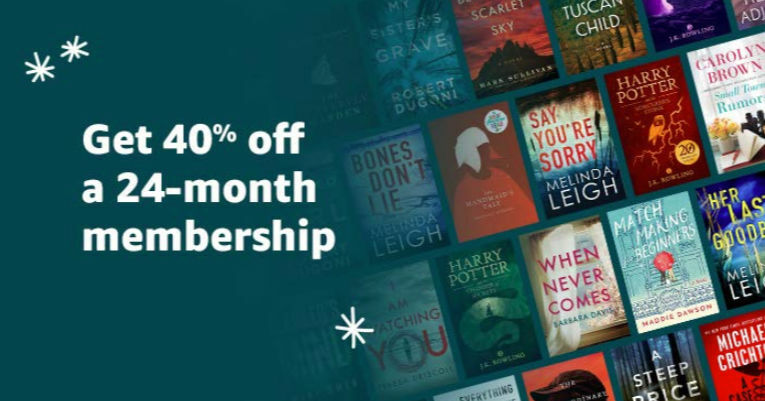 Membership to Audible includes discounted prices for additional audiobooks and access to special sales and members-only audiobook deals. There is an audible app available for Apple, Android, Amazon and Windows devices. You can also have Alexa play your audiobook on Echo devices. I’d been thinking about re-joining Audible, so at this price, I definitely took advantage of the deal. What do you think? Here is another update on the “Oops! Something went wrong with FreeTime” problem. Prior posts on the problem are here and here. Amazon has released what they say is “a fix for many of the issues that lead to this error.” They are asking customers to update to the latest version of the FreeTime app (FreeTimeApp-fireos_v3.17_Build-1.0.210214.0.26452). Confirm that your device is connected to a wireless network. Connected devices have a Wi-Fi or 4G LTE icon with signal bars near the battery indicator. Swipe down from the top of the screen to open the quick actions menu and then tap the Settings (gear) icon. Tap Sync Device. Large files may take time to download. Settings > Apps & Games > Manage All Applications. Find the Downloaded tab (yellow bar), then swipe the entire screen to the right (see All tap). Scroll down until you find the FreeTime app. All apps are in alphabetical order. Settings > Apps & Notifications > Manage All Applications. Scroll down to FreeTime app. Reboot/restart the impacted Fire Tablet, then check if the issue is resolved. If the issues persists after a reboot, clear the application data for FreeTime. Please note: Clearing the application data may delete customers content on customer’s FreeTime profiles. One person already posted on the forum that the update did not work for them. The frustration level on this issue seems to be off the charts. Tech issues are aggravating enough, but the primary users of FreeTime are small children, who neither have the skills or the patience to deal with the issues. As a parent, seeing my kids repeatedly upset by this would make me extremely angry. Amazon needs to come up with a working fix for this, ASAP. For the last two months, my access to certain audiobooks on Scribd has been throttled at three audiobooks. After that point, most titles show an “Available on [date] message. For me,that date is right after my monthly membership renews. While I’m still seeing both audiobook and ebook content offered, the titles are extremely limited. I am not alone in having this problem. I’ve received a number of emails from people letting me know of problems accessing content on the service. Posts on the topic on sites like Reddit and Mobileread confirm the problems. 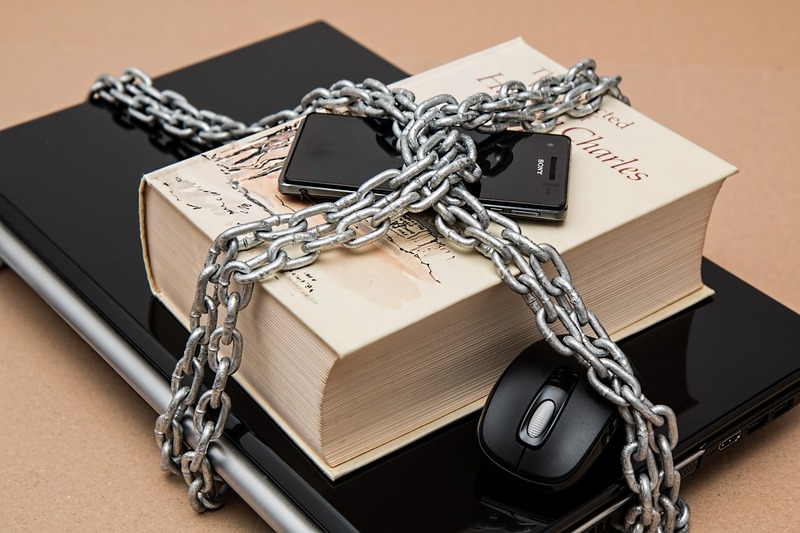 Most people complain of being only allowed unlimited access to only three to five books per month and some have even had downloaded content removed from their devices. Originally, Scribd started off as an unlimited subscription service. Upon finding that some users were actually voracious readers, in February 2016, the service removed a large number of romance books (a hugely popular category) and instituted content limits of 3 ebooks and 1 audiobook for the rest of its users. A few months later in March 2016, Scribd modified the limits again by introducing Selects, which made some books unlimited and others subject to the 3 ebook/1 audiobook limit. And finally, comics were removed the service’s catalog in January 2017. Scribd’s current limits date back to the last change made in February 2018, where the service promised “to give you access to an unlimited* number of books and audiobooks each and every month!” Note the asterisk behind the word “unlimited”. That asterisk relates to a couple of clauses in the TOS that allows Scribd to throttle its users. The terms “publisher limits” and “unusual volume of materials” does not seem to be defined anywhere in either its terms and condition or its help pages. One of the biggest issues for users seems to be trying to understand what “unlimited” with an asterisk really means. I’ve given up trying to figure out how many books I get to hear before I end up getting throttled each month. Some months I get two books, sometimes three. Read any online discussion on the subject and you will see a variety of limits users have encountered, as well as a number of reason for the limits, most suggesting the cause is either publisher limits, location or price. Which titles are read also seems to be a factor, with some suggesting there’s a secret list of titles that you can’t read too many books from. A number of users have said that they can read three audiobooks and one ebook before they are throttled.That’s ironic, as it sounds pretty similar to Scribd’s old three book/one audiobook system, only in reverse. The biggest beef for users? Nobody knows for sure what the rules are. At least with Scribd’s previous rules, it was (somewhat) clearer what the limits were. Under the current system, there’s not a lot of transparency and that tends to be annoying for users of the service. For many, this may make it difficult to truly assess the value of the service they are paying for. I don’t think anyone really expects truly an unlimited service for $8.99 a month (the same scenario has played out with Playster, the other “unlimited” subscription service). But depending on what you read and how much you read, the value of a Scribd subscription shakes out differently for different people and how many books are included monthly is a big part of determining that. With each of the changes Scribd makes limiting the content offered (such as removing romance books) triggers an exodus of people claiming they will leave the service. It seems that currently, many of the those who the most frustrated with being throttled are avid listeners to audiobooks. For me personally, I still find value in the service. Since I boycott books priced over $9.99, even by reading one higher-priced book a month, the service saves me money. I’d like to see more bestsellers as ebooks (lately audiobooks seem to be the predominant format), but I still find content that is of value to me. However, if Scribd was my only (or even my main) source of content, I don’t know that I would be as satisfied. Some people might find themselves better served by a subscription to Kindle Unlimited (which includes both ebooks and audiobooks) or by investing in a paid, out-of-area fee card to a public library that loans digital materials (I talk about fee cards in this post). The bottom line is that it is just too difficult for figure out exactly how much content Scribd is offering with its subscription service. It would just be nice to know what the rules are so we could plan our reading accordingly. What do you think? Current subscribers, have you been throttled by Scribd? Former subscribers, why did you leave?